In learning, the human mind sometimes begs for help. Employing a single channel of cognition — like rote memorization — often isn't enough. Homer developed an entire mnemonic system to be able to recite the Odyssey's 12,000 lines at will, and Frank Sinatra wrote out song lyrics over and over again to be comfortable performing them. In studying plants, Waverly Fitzgerald shares her experience of doing it through a liberating artistic practice. "What you are looking for is what is looking." When I began my year-long project of learning about the plants in my urban neighborhood, I assigned myself the task of learning to draw plants in April, and spent March learning how to identify them. It turned out I got this backwards. 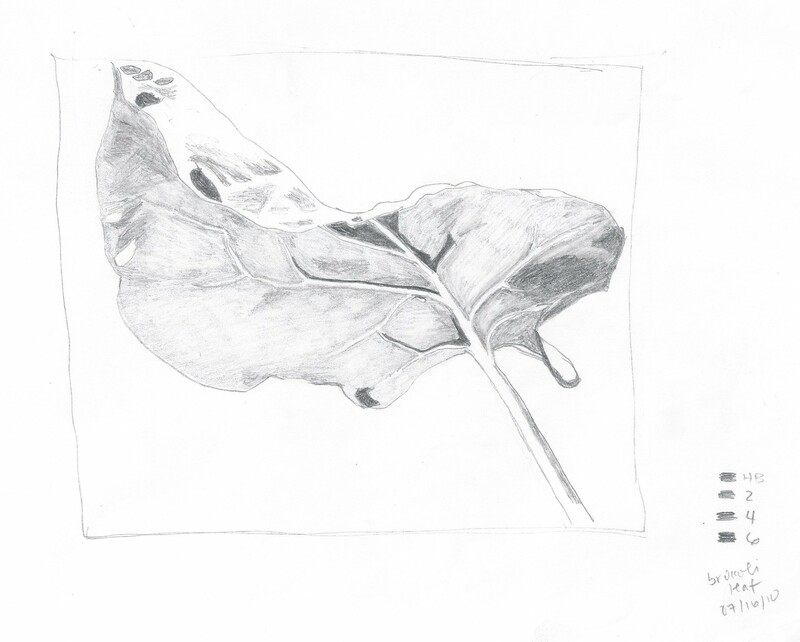 Nothing gets you up close and personal as quickly as sketching a plant. Taking it apart, like the pieces of a puzzle, poring over each fragment, sniffing out its mysteries — so many ways to look at it! Prying open the petals to count the pistils and stamens. Twirling the stem in your fingers. 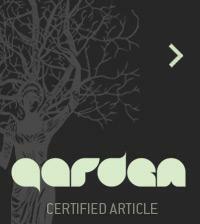 Outlining the plant with a pen, while pinning it in place with a fingertip. Tracing the network of veins on the leaves. Shading in the shadows on the folds of the petals. Noticing the tiny star on the base of the berry. As I handle a flower, turning it upside down, flattening it, pressing back the petals, fondling the leaves. Details emerge that surprise and delight me. It’s like exploring a lover’s body during those lazy hours in bed at the start of a love affair. I’ve a new appreciation for the snowdrop, that small white drooping bell-like flower that blooms early in the year, even poking out of the snow, ever since I peeled back its tepals and found, to my surprise, green and white stripes inside. As I work with each flower, the botanical terms that seemed so artificial become real. I learned my favorite drawing technique — contour drawing — years ago in a high school art class. Betty Edward also describes it in her pioneering book, Drawing on the Right Side of the Brain. The instructions are simple. Put your pen on the page. Look at your subject. Outline the contours of the object. Do not look at the paper, do not take your pen off the page. Resist the temptation to peek at your drawing as you proceed, which often turns a lively sketch into something stiff and stilted. When bored in high school and college classes, I used contour drawing to sketch my teachers, other students, my shoes or my own hand in the act of drawing. Sometimes the result is an undecipherable tangle of squiggles; other times you end up with a portrait that really captures the essence of the subject. Why does this technique work better than conscious imitation? Well, perhaps it’s that what we believe we see is not what we really see. Try drawing a cup while looking back and forth between your paper and your subject. Then draw the cup again, using contour drawing; that is, not looking at your drawing until you’re done. Chances are you’ll be surprised by how much more the second version actually resembles a cup. We have a notion of a cup shaped by our three-dimensional experience with it, but it’s not the cup our eye sees. "You miss the finer details: the sticky sap exuding from the pistil . . . the network of veins in the leaves." Ask a child to draw a flower and you will usually get a picture of something that resembles a daisy with five or six petals and a round center. Sure, you could find such a flower in nature, but you would only see it this way if you squashed the flower flat and viewed it from above. Try to draw a daisy as it grows or stands in a vase: some of the petals will be foreshortened by your perspective, some will sag, and others will be twisted or half-hidden. Jude Siegel, author of A Pacific Northwest Sketch Book, recommends a form of contour drawing that she calls spirit drawing. It’s different from contour drawing in that you spend time before beginning to draw, simply drinking in the sight of your subject. Then take your pen (Siegel encourages the use of a pen, as it forces you to commit), choose a spot on the subject, put pen on paper and begin drawing — traveling along the lines of the object. If you are drawing a flower, pretend you are a tiny bug traversing the edges of each petal. Or, imagine tracing the edges of the subject with your fingertip, the gentle caress of a lover. Then forget all about bamboos when you are drawing. I produce pages of sketches for every plant I study, beginning with a contour drawing or spirit drawing. Then I do a more literal contour drawing, placing the flower on the page, and tracing around it. Although this usually produces a rather clumsy outline, at least I have a life-size reproduction of the plant. With my next sketches, I focus on the details. How many petals? How many stamens? How do they line up? I try to describe colors (a silvery pink, a greenish-brown). I try to describe fragrances. As I work with each flower, the botanical terms that seemed so artificial become real. The parallel lines of the monocot family are apparent in the leaf. I notice right away that the leaves are alternating rather than opposite on the stem; I find the sepals (the part of the flower that attaches it to the stem) most interesting — like little green jewel cases with their green ribs and undulating shapes. You don’t need artistic talent to do this sort of drawing, though of course it helps. As my high school art teacher made clear to me, I have none. Yet, I manage to create sketches that are recognizable. More important, they are educational. Remember the purpose of the sketch is not to create a lifelike rendition of the flower, such that people will gaze at it and say, “Wow! That looks just like an alstroemerias!” but rather that you will have learned more about it. Pressing the button is incomparably better than walking through the world with dead eyes, but how easily it becomes a substitute for seeing. I was a snob about alstroemerias until I drew one. I thought of them as frivolous products of the cut flower trade. Possibly because they have no scent and they last forever in the vase — two signs of a flower that has been turned into a freak of nature. But a few years ago, when I spent two cold, wet weeks in March at a writer’s retreat, the only flowers to be found were the alstroemerias that had been purchased to adorn the main house where we ate our dinners. I took a few stems with me to my cabin in the woods and I began to draw them. It was me and the alstroemerias for hours — I couldn’t get enough of them! I love the clever shape of the flower, the way the vertical tepals flaunt splashes of yellow and distinctive black nectar lines to lure bumblebees into the nectar at the heart of the flower. I love the six-sided little green basket of the ovary, the three little curlicues on each pistil. I love the snake-like curve of the stem, the twist of the leaves. Never again will I snub an alstroemeria. 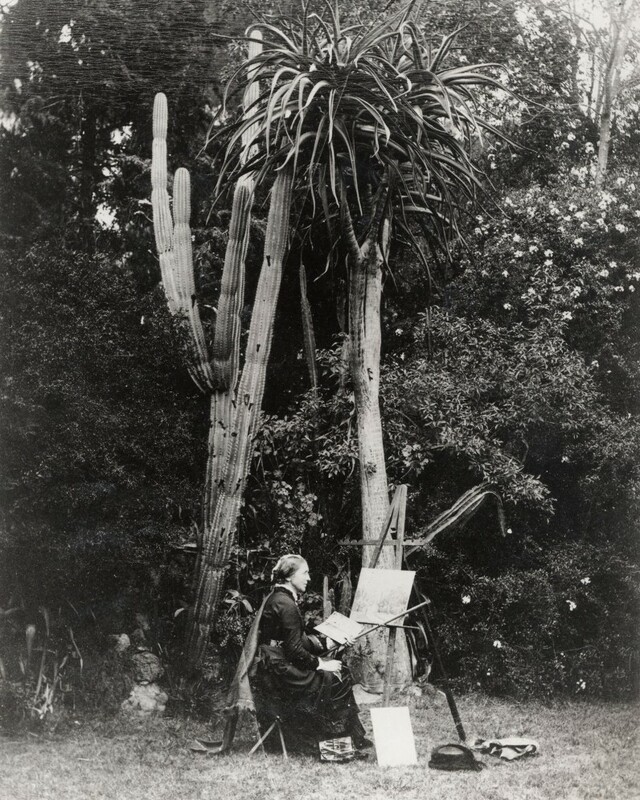 For young Victorian women, drawing flowers was a favorite hobby. They set off with their sketch pads and watercolors, pencils and pens, into the meadows and down country lanes on sunny summer days, stopping to sketch plants they encountered. Today those young women would probably set off with digital cameras, and though I am dazzled by the photographs of flowers I view on the web, photography just doesn’t compare to drawing if your goal is getting to know the flower. The distance between the lens and the plant might as well be miles. You miss the scent, the texture, the handling. You miss the finer details: the dusting of brown pollen, the sticky sap exuding from the pistil, the flap of green on the stem where the petals attach, the network of veins in the leaves. • Two contour drawing tutorials — 1, 2. 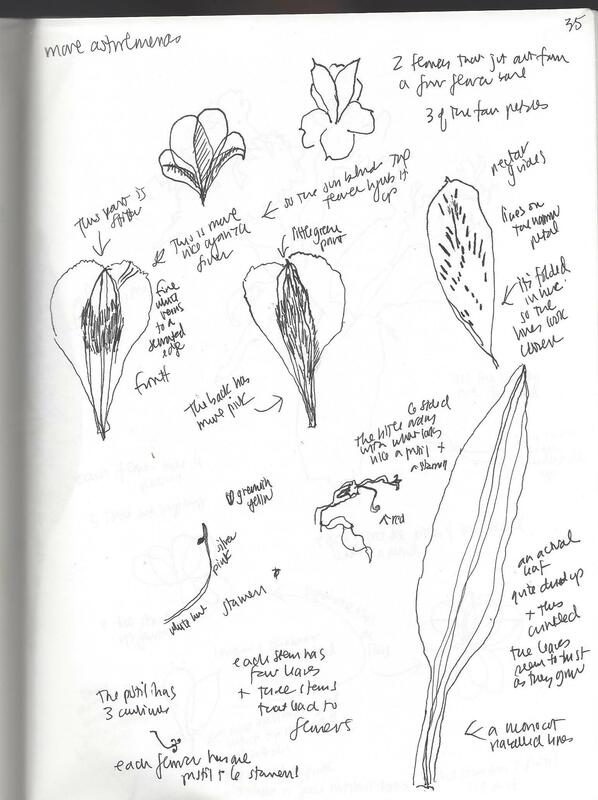 • This article, 'Have Time, Will Play: 5 Easy Steps to Sketching Nature', by Jolie Kaytes in The Journal of Wild Culture may also be helpful to those interested in nature drawing. WAVERLY FITZGERALD is a writer, teacher, researcher and publisher. Her teaching includes writing classes for Hugo House in Seattle and online instruction for Creative Nonfiction magazine. Her nonfiction focuses on seasonal holidays, urban nature and family history; her fiction contains talking Chihuahuas, Victorian trance mediums and Cavalier poets (not all in the same novel). She’s currently writing a book called My Year in Flowers about the twelve months she spent learning about the plants in her neighborhood, Capitol Hill in Seattle. See Waverly's site. I loved reading your observations about plants, the drawing process, and how the drawing process transforms what and how you see.